The changing demands of clients and society require us to continuously update our knowledge and skills. Our mandatory Continuing Professional Development (“CPD”) Scheme was introduced in 1998 applying to all trainees and practising solicitors. CPD is the systematic maintenance, improvement and broadening of relevant knowledge and skills to enable a professional to successfully carry out his professional duties and responsibilities throughout his career. 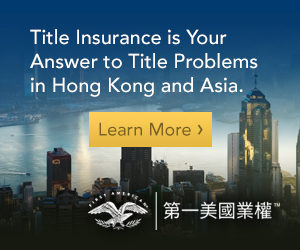 Whilst the CPD Scheme may be seen by some as a burdensome requirement, I see this as a necessary training framework to assist practitioners in maintaining high standards of work in the interests of our clients and the public and in enhancing the reputation of the Hong Kong legal profession as a world class service provider. The ability to showcase high professional standards in our work is the most effective promotional tool of our legal services. The Law Society is therefore determined to do our utmost to facilitate the attainment of the highest professional standards by our members. We keep under regular review the operation of our CPD Scheme and other programmes and facilities that aim at helping our members to improve standards of their legal services. There was a very interesting session at the recent International Conference of Legal Regulators held in Washington, DC – Reimagining the Future: How Proactive Measures can Reshape a ‘Lawyer Discipline System’ into a ‘Lawyer Integrity System’?. Legal regulators as well as academics from various jurisdictions, notably, Australia, Canada and the United States, shared their experiences and research findings related to their studies of proactive management based regulation (“PMBR”). PMBR refers to a regulatory approach designed to promote ethical law practice by assisting lawyers with practice management. This innovative regulatory approach was first developed in New South Wales. Legislation was passed in as early as 2001 in New South Wales allowing limited liability and non-lawyer ownership of incorporated law practices (“ILPs”). To address concerns about non-lawyer ownership and limited liability of legal practices, the legislation broke new ground by incorporating the concept of “ethical infrastructure” into the statute. It requires ILPs to implement “appropriate management systems” (“AMS”) to ensure that their provision of legal services comply with obligations imposed by law. To assist ILPs to establish and maintain AMS, the regulator, together with other stakeholders, developed ten objectives of sound legal practice and a self-assessment form for firms to evaluate their level of compliance with the ten objectives. The objectives, which are jurisdiction specific, are based on relevant statistics of complaints received from the public and regulatory experiences. Assistance to implement AMS will then be provided to firms to achieve compliance of the particular objectives in which they are deficient. The empirical study conducted in 2008, seven years after the passing of the legislation on ILPs, showed that complaint rates for ILPs went down by two-thirds after the ILPs completed their initial self assessments. Following Australia, Canada and the United States are moving towards the PMBR approach, shifting from reactive regulation that disciplines lawyers for violation of rules to proactive prevention and assistance through “education towards compliance”. Reflecting on this development with reference to Hong Kong, our approach is to a certain extent in general alignment as we have also been placing much effort in proactive measures to maintain standards and enhance regulatory compliance. 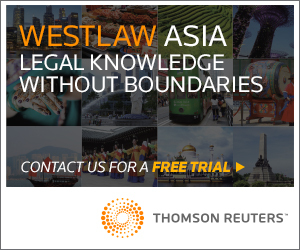 In addition to the mandatory CPD Scheme introduced in 1998, the mandatory Risk Management Education Programme has applied in phases to all trainees, solicitors and foreign lawyers practising in Hong Kong law firms since 2004. Under the Legal Practitioners Ordinance (Cap. 159) (the “LPO”), a solicitor cannot practise on his own account or in partnership until he has satisfied the Council that he has been bona fide employed in the practice of a solicitor firm in Hong Kong for at least two years. 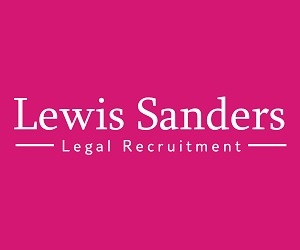 To ensure that a solicitor is properly equipped with the necessary practice management skills before he is allowed to operate his own firm as a sole proprietor or as a partner, the LPO has been amended to include a requirement on the completion of an approved practice management course prior to an application for an unconditional practicing certificate. This legislative amendment has not come into operation and no commencement date has been fixed yet. We are now working on the practice management course and other implementation details. The Law Society has a team of Monitoring Accountants who conduct routine visits to new law firms that have been established for three months to assist them in relation to solicitors’ accounting issues. We also have a Regulation and Guidance Section to handle enquiries from members on matters relating to the LPO and its subsidiary legislation, the Law Society’s Practice Directions and the Conduct Guide. Further, the Law Society’s Guidance Committee is tasked with providing guidance to members on ethical issues in legal practice. The Law Society has thus far put in place a convenient framework for practitioners to update their knowledge and skills on legal practice and risk management as well as to seek assistance on individual accounts and ethical issues. The main distinguishing feature of PMBR is the self-assessment process. This process connects education with compliance and helps practitioners apply the principles of practice management imparted in the context of training to the actual situation in their practice. Coupled with specific management tools, practitioners are enabled to improve their own systems to achieve the full compliance level. The engagement of practitioners in the regulatory process heightens awareness of how their own practices measure against the standards expected of them by their clients and the public and creates a clearly visible target to achieve, which is common to both the regulator and those being regulated. This commonality cultivates harmony in the relationship between regulators and practitioners and enhances trust in each other’s efforts to achieve compliance. We will explore the PMBR approach and how we can learn from the valuable experience of other jurisdictions for the benefit of our profession. What we may need to work on further is to articulate the principles of sound practice with reference to the types of common complaints against the profession, motivate practitioners to evaluate their own practices with reference to these principles and assist them to achieve full compliance with those principles with the support of improvement programmes and tools. 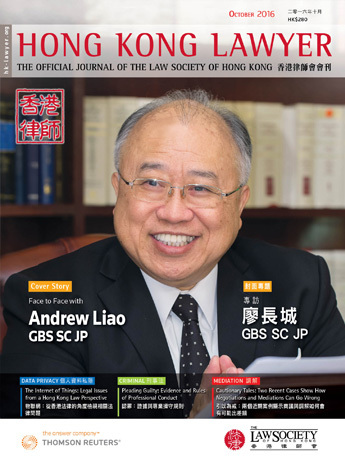 Should members have any comments, please send them to me at president@hklawsoc.org.hk.